Wherever I go, I find it on my way, in Thailand, Indonesia, Malaysia, Laos, Cambodia, Vietnam,…I even miss it when I go back to Europe. It is a tender and nutritious plant, however, almost no one knows it. It is the nettle of the tropics : it’s found everywhere, fought against by farmers and highly nutritive. I like to say that this plant called “asystasia” came to assist Asia. This is a free organic and healthy food that we can (should?) eat everyday, in a reasonable quantity. This is what I do when I am not in the city. I read that is it more commonly eaten in Africa and I am still looking for new recipes. As only a few locals that I met in Thailand and Malaysia, passionate about nature, know it, it is not easy to learn local asystasia recipes. Its taste is mild, soft, and the leaves can be eaten raw as a salad (or together with any dish), it is hard to make a green smoothie with it (with the traditional way) because it’s mucilaginous (it makes a gelly sensation just as flax seeds, basil seeds or chia seed when soaked) which is said to protect the stomach. Asystasia contains high levels of vitamin C and other vitamins, protein, calcium, iron, and other minerals, much more than in commonly cultivated plant. (I’ll add a nutrition table to this statement). The leaves can simply be added in fried vegetables, in any curry, coconut soup (tom kha, tom yam), or coconut curry (masak lemak labu sama bayam). I like it as a lebanese or thai style: shortly cooked in a little of water with onions and garlic, served with lemon juice and salt of fish sauce (and chili for those who like spicy food). Some ginger can be added too. I also recently tried it with a dessert I made, to balance the carbs of the dessert (although this dessert doesn’t contain any added sugar). It is made with 500g of already soaked glass noodles (wun sen) (so less of them if still dried), 100 ml of coconut milk (2/3 of a small pack), pumpkin, coriander seeds and cinnamon, with one banana sliced and cooked in it as a sweetener. The asystasia raw leaves are simply used as a spoon for eating this yummy dessert, they could also be simply added to the mix once cooled down. Lantoro (indo-malay), phak grathin (ผักกระถิน in Thai), White leadtree, Leucaena leucocephala. Family of beans (fabaceae, sub family of mimoseae), originated from South America. Leaves and young pods seeds can be eaten raw or cooked. Personally, I would not eat it in too big quantities, as it’s part of the bean family. But I have eaten in everyday as spinach (taking out the leaves from the stem to make it easier to eat), mixed with Asistasia. According to a Javanese friend, the brown mature seeds can be roasted and used as coffee replacement. 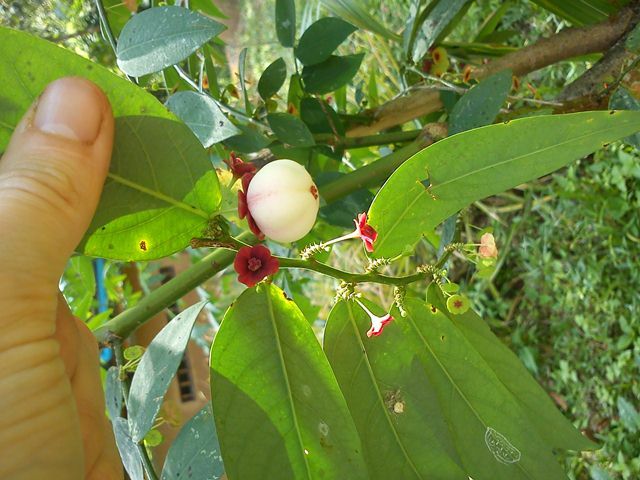 It is a bush tree that grows easily (even invasive), it is commonly found in Thailand countryside, as a house edible hedge or fence, those who know this plant will find healthy food for free everywhere! I recommend it in the list of plant we should be growing at home. It can even grow on the beach in the sand! (such as the one on the picture, from the island Koh Mak, Thailand). This nutritious plant is used also for quality food for animals but can lead to health problems to cattle and the right quantity and new varieties are now studied. I don’t own a farm but personally think it is okay to give this plant to animals as long as they are free to eat it or not, and if it is raw, so that their natural selective system (natural instinct) will help them eat the right quantities. This instinctive protection is not alway working, especially with addictive and psychoactive plants such as coffee, this is how goats discovered it in Ethiopia and then human followed. Many trees look the same. 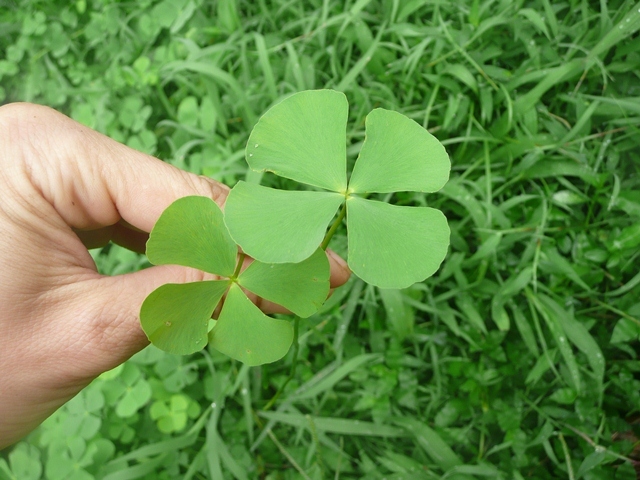 If you want to collect these leaves, be sure that it’s the right one by checking the seeds and the flower. If it has only leaves, when tasting them, it should have an “interesting taste”, a bit egg, a bit sulphur. The beans have a powerful taste, close to the “stinky bean”, known as Petai in Malay-Indonesian. Edible leaf vegetable, eaten raw or cooked. Rich in vitamin C. Commonly eaten in all Asia (China, Japan, India, South-East-Asia). Cultivated or wild (for instance, in Thailand there is Pak wan and Pak wan pa, pa meaning from the forest, so as to say wild. It looks a bit different and tastes very nice). This plant, as many, is reported to cause health problems with over-consumption. It’s a very nutritive plant, high in minerals, vitamins and protein (about 7 grams/100 grams), but it doesn’t mean you should have half a kilo of it every day. The usual intake in Malaysia is 10 to 20 grams a day, which is enough to benefit of this plant and leaves space for diversity with other plants that you can add in your menu. You can make a juice with it, but avoid large quantities, you can mix it together with different plants. See traditional green juice methods and recipe here. 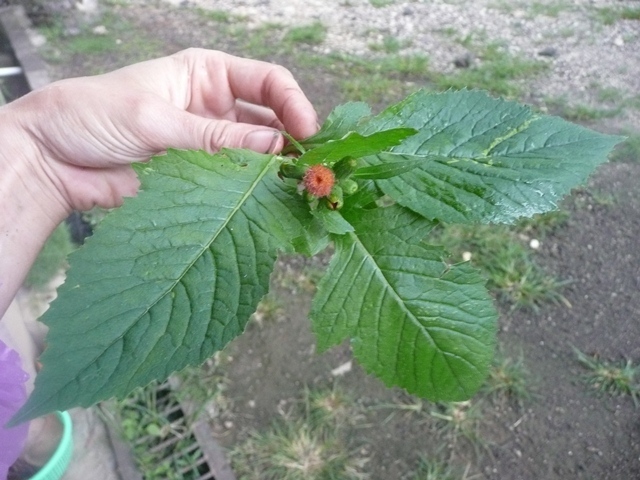 Eaten raw, leaves, young stem. It’s part of the asteraceae family, lettuce family, close to dandelion. I like it very much, a little bitter, just as needed. I was introduced to this plant by an Indonesian friend who grew up eating wild plants in Java. On that day, he showed me a few wild plants in a garden in Bali. I forgot the name of this one, but remembered her “face”. I saw it again in Thailand, in Ubon Ratchathani, in one of the gardens of the Asoke Buddhist community, the passionate gardener working there gave it to me to eat again. Then, one month ago I met this plant on a hill in Penang (Malaysia), walking in the forest with a local friend who loves wild edible plants just as me. thanks to a comment here on the website I got the name again and will add more about this plant soon. An Indonesian friend showed it to me, and a Malay reader of this website nicely gave me the name of it. A very soft leaf plant that can also be eaten raw. Many plants look the same, some can be toxic or cause death. Any new food that we try also bear the risk of inducing allergy. If you feel any unpleasant sensation while tasting a plant (such as burning, itchy, too bitter), spit it out right away and wash carefully your mouth. Don’t hesitate to consult a doctor. There is an international protocol for testing wild plants. You will find more information about wild edible plants in this article (in French) and in your own research. Don’t eat any plant that you are not sure of what it is. It is recommended to ask someone who knows to show you. You are the only one responsible of what you eat. As said Paracelsus : “The dose makes the poison“, all things are poison in nature (and in life, for any activity ;) ) the dosage makes it poison or not. A healthy plant can become poison when it is over eaten, at one time, or every day on a too long time scale. Diversity and moderation are the key to me, and this can be taken for anything in life I think. More to come…Please share anything you know about wild edible plants and other ones that I didn’t mention here ! Loving nature and protecting it also comes with knowing it. Receiving rather than cultivating, is also a nice way of experiencing to feel grateful to nature, we can get food directly from it and this talks to our billions years human roots ! Thank you! I will edit the article with more information! In Malaysia, we only eat cooked Sauropus androgynus. Some studies show that fresh-consumption and over-consumption of S. androgynus may cause lung disease. Leucaena leucocephala has shown some toxicity when fed to other live-stock mammals. As the dose makes the poison, be careful of the amount when we eat these plants. 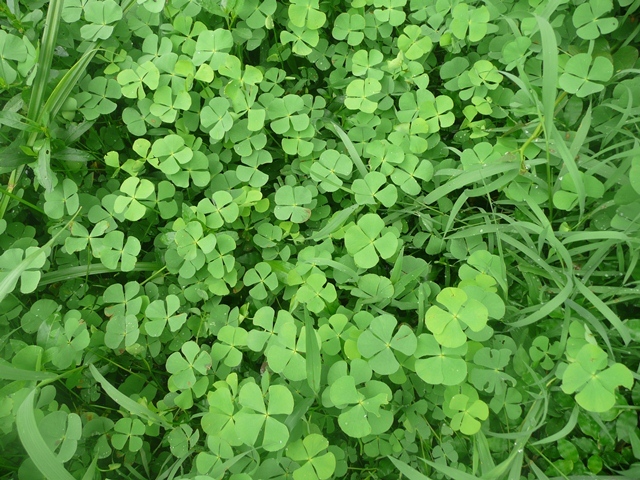 By the way, the tropical clove might be Marsilea quadrifolia. Than you for your answer ! It is very important ! This is true that Daun Katuk / Sauropus androgynus, whith over-consumption, can lead to health problems, it’s a great source of vitamins and protein, and a traditional medicine but we should respect a normal dosis. Some people use fresh and cooked juice of leaves and stem, for losing weight for example, and got lungs problems. It is good to know for each plant how much we can eat of it. Some may be very good but only a small amount (even thyme infusions can lead to problems). As for Sauropus androgynus 10 to 20 grams is described as the common daily intake in Malaysia, raw or cooked it should not make a difference. The toxicity is supposed to be because of papaverine, wich cooked or raw should not be overtaken, as described in a study “Wu et al. describe papaverine as a smooth muscle relaxant and vasodilator with recommended intake of 300 mg a day in doses of 150 mg every 12 hours. Those consuming 600 grams of leaves would achieve an intake of 3480 mg weekly. Adverse reactions to the substance are skin rash, abdominal pains, hepatotoxicity, flushing, headache, tachycardia, and dizziness(1)”, this is about 4 times of a “normal” consumption. As for Leucaena leucocephala, which is largely eaten in Thailand as steamed shoots for example, there is also a toxicity in high dosis. It’s good to know. And what is the dosis? in this study “It was found that approximately 426.6 g/day of LL fresh shoot tips plus young leaves was a toxic dose causing reproductive impairment in men (calculated from 60 kgBW of a man) (2)”. There is also a potential possibilty of finding men contraception trough this plant. But in general the problems are more with cattle and they are trying to make a new variety, because this plant grows so well and is very nutritious. Thank you for the Marsilea quadrifolia name ! That realy looks like it. I will add it, as well as advices on not overeating these two plants, and not only these ! Over all, it’s all about quantities, anything can be toxic or nutrishing or medication in nature. I think it’s important to stick to diversity and to listen to the body : my style of doing is to testing it first for myself, when eating the plan alone, just as it naturally comes, without cooking or transformation, the taste will be strong and tell me at some point to stop eating, so I don’t over eat. Some plants can be eaten in larger quantities, like spinach, some not. But taking juices evereyday of any plant (like spinach can cause kidney problems) may induce overconsumption (because the body will take more before the instinct, taste and feeling telling to stop, especially if it’s mixed with fruits or other foods). For cooking and recipes, or juices, it’s good to have a general idea of a healthy quantity. Moringa is trendy now, but also can lead to problems on high quantities. Thank you for the valuable information you shared that made make some more research on these plants. (1) Name of the article : Sauropus androgynus (L.) Merr. Induced Bronchiolitis Obliterans: From Botanical Studies to Toxicology. (2) Effects of Leucaena leucocephala (Lamk.) Shoot Tips Plus Young Leaf Extract Containing Mimosine on Reproductive System of Male Rats.